Simply put, South Dakota is currently among the best locations for entrepreneurship US. Small business grants and loans in South Dakota offer an amazing opportunity for small businessmen that have limited access to funds and capital. There are many state programs for people that would like to start a small business with most of them being managed by the economic development agency. There are numerous small business loans that are available for South Dakota business owners. Banks and several other lending institutions dedicate themselves to helping the businessmen to accomplish the financing that they require to start or grow their business. In order to qualify for a small business loan in South Dakota, there are several applications that must be filled. 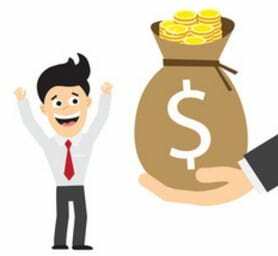 The money is lent to everyone who satisfies an eligibility criterion for the assistance and agrees to follow specific rules on how the money can be spent. Some of the lending institutions within South Dakota include BankStar Financial, Fulton State Bank, Dakota State Bank, and DNB national bank among others. The growth of small business borrowing has been uneven since the great recession. As a result, the financial crisis in the small business credit market affected their borrowing making it harder than that of large businesses. However, financial markets continue to support the economic growth and the interest rates are relatively low. The low cost of borrowing is given credit for the improvement that was seen at the end of 2013 when the value and volume of small business loans increased for the first time in fifteen quarters. In the fourth quarter of 2013, small business loans value increased by 0.4% and the volume increased by 1.1%. This positive change extended over to the first quarter of 2014. In South Dakota, the number of small business proprietors increased in 2014 by 0.7% relative to the previous year. Consequently, 2014 was quite a significant year for small business owners in South Dakota. 14,222 loans under $100,000, valued at $256.4 million, were issued by the South Dakota lending institutions reporting under the Community Reinvestment Act. With the availability of financing for new businesses, the second quarter of 2014 saw 628 new business startups and approximately 1,616 new jobs created. Small business lending continues to be highly concentrated in three largest banks and bank holding companies. The lending industry in South Dakota is made up of over 100 banks, all of which finance small businesses and micro-businesses. Business loans are awarded on the basis of the background of the person seeking to start or grow a business. Various institutions assist individuals in obtaining a South Dakota SBA loan for small businesses by offering financing options. It is, however, imperative to know that not all lenders are the same and may have different underwriting criteria. These institutions ensure the applications are submitted to the correct lender thus enhancing the probability of getting a small business loan. Founded in 1920, Reliabank Dakota is headquartered in Estelline, South Dakota. Although it only serves eastern South Dakota, it has managed to loan small businesses a total of $48.8 million in a year. BankStar Financial offers a variety of loan solutions for individuals, organizations, and businesses in South Dakota and surrounding areas. It was established in Elkton, South Dakota in 1907. A state-chartered bank based in Aberdeen, South Dakota, Dacotah Bank first opened its doors in 1955. Since then, it has provided banking, insurance, and mortgage services to both individuals and businesses. Dakota Prairie Bank was founded in 1906 in Fort Pierre, South Dakota. Currently, it is headed by Mr. Stephen K. Hayes as its Chairman, President, and CEO. 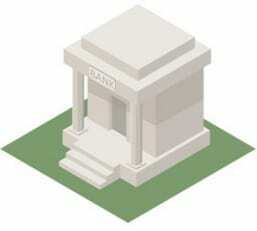 Based in Eureka, South Dakota, Great Plains Bank offers its banking services to the entire state. In just one year, it has successfully loaned small businesses $13.6 million. Founded in 1937, Pioneer Bank and Trust is based in Belle Fourche and is the fourth most highly-rated bank for small business loans. South Dakota has one of the lowest populations in the United States. Regardless, there are still plenty of opportunities to start small businesses in the state. The cost of living is extremely low, which means that you won’t have to worry about large expenses while you’re trying to start your new company. The city that you decide to work in will depend on the type of industry you’re trying to enter. There are a variety of industries prevalent in South Dakota. Agriculture and food processing are large industries, but so are various services such as insurance and finance. You’ll find that tourism is also a great source of income because people visit the area to tour some of the surrounding regions – the scenery in South Dakota is magnificent. Below are our favorite cities in the South Dakota region. It you’re looking to start a business in the state, consider the cities we mention. You should also check out the lenders we suggest in each city. First National Bank Sioux Falls is our top pick for business lenders in the heart of Sioux Falls because of the deep understanding of how the local economy works. They also have the financial strength to make large loans to business owners in the region. If you need to borrow a lot of money to start or grow your business, this is a great option. Bank Midwest is a local lender in the Midwest region with an office in Sioux Falls. They provide business loans, as well as business credit cards. They can also provide you with other business services such as banking and insurance, which makes them a great choice if you want a one-stop-shop for your new company. Black Hills Community Bank is a small, local bank in South Dakota that has plenty to offer to their client base. If you’re looking to get things started with a lender that has multiple financing offers, they’re a great choice. They’re experts on the local economy in the city and know how to approach various industries. They also have business banking services for those who need them! Great Western Bank is an awesome lender if you’re working in the agriculture space – they have a whole team dedicated to agriculture finance and banking. If you’re looking for other types of industries, they can help as well. They’re one of the top regional lenders in the state, and they have a local office in the heart of Rapid City. If you’re looking for a lender that has great rates and a local presence, the Dakota Plains Credit Union is a top choice for South Dakota. They’re a lender that knows all that needs to be known about business lending. They’re particularly good at helping you finance real estate or equipment for your business. You’ll need to be a member to take advantage of their financing options. Dacotah Bank is a regional lender in the state of Dakota that has plenty to offer in terms of business lending. If you’re looking to work with a lender that can provide term loans, lines of credit, and business credit cards, Docatah Bank is a more than solid choice. They have a local office in Brookings that you can use to speak to a commercial lending expert.